5th Tallinn Architecture Biennale TAB 2019 announces the shortlisted schemes for TAB 2019 Installation Programme Competition “Huts and Habitats”. 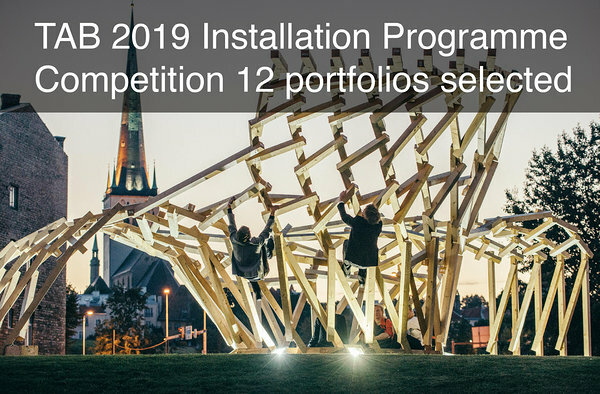 TAB 2019 Installation Programme is an open two-stage competition which offers emerging architectural talents the opportunity to design and build an experimental wooden structure in the heart of Tallinn, in front of Museum of Estonian Architecture and promotes synergy between emerging talents and industry, participants are encouraged to consider new technologies and design strategies in relation to Estonia’s rich history of timber construction. TAB 2019 Installation Programme first stage received 137 submissions from all over the world: Australia, Japan, USA, Chile, Russia, United Kingdom, Portugal, Spain, Germany, France, Italy, Switzerland, Belgium, Denmark, Estonia, Latvia and Lithuania. “I am really excited with the 12 selected teams, it’s a really diverse sample of a current generation of cutting edge young architects, with different ideas, tools and methods. I think we managed to get people who can really challenge the idea of the primitive hut - these are designers and thinkers that go beyond mere technique and can develop a deep conceptual response to the brief”, asserts internationally well known architect and designer Gilles Retsin, TAB 2019 Installation Programme Curator. The Jury panel, called to judge the best is composed of: Philippe Block (ETH, Zurich; NCCR, Switzerland), Areti Markopoulou (IAAC, Barcelona) and Mihkel Tüür (Architect and co-founder of KTA, Estonia). Jury advisers: Gilles Retsin (TAB 2019 Installation Programme Curator, Programme Director Bartlett B-Pro AD, Director of Gilles Retsin Architecture, Belgium)); Dr Yael Reisner (Head Curator TAB 2019, UK), Sille Pihlak (co-founder of PART, TAB 2017 Installation Programme curator, Estonia). The winner proposal will be built in August 2019 in front of the Museum of Estonian Architecture and will be opened to the public during TAB Opening Week September 11-15 2019. “Beauty Matters: The Resurgence of Beauty” is the topic for the next Tallinn Architecture Biennale TAB 2019. The winning proposal was selected from the international curatorial call for the 5th installment of the biggest architecture event in the region. The selected head curator is Dr Yael Reisner, a registered architect in Israel, who works and lives in London. Her proposal focuses on the subject of how beauty matters again, reflecting on a cultural shift, after nearly eighty years of dormancy, as beauty was a tabooed, denigrated subject. Curators‘ assistants roles in the TAB curatorial team has been appointed to architect Liina Soosaar (Tallinn), who has recently graduated from Architecture and Urban Design at the Estonian Academy of Arts and architect Barnaby Gunning (London). For more information, please visit TAB 2019 website: www.tab.ee.